Last week, we proposed to discuss some concrete applications of AI with a focus on healthcare. Briefly, true AI is when a system can understand and learn from elaborate sets of data while making valid recommendations and suggestions. Worthy of note here is the word “data” which is information or, to be specific, digitally available information. AI relies a lot on the availability of data to train the machine much like humans learn by taking in and analyzing data. The difference here, at a fundamental level, is the idea of machines learning with vast amounts of data over a much shorter period at an accelerated speed. So it is about trying to accelerate and optimize the rate at which machines take in data, analyze the data and learn from the data in order to make more accurate and valid recommendations and suggestions where needed. We are at the dawn of a technological revolution of greater magnitude than the internet and mobile communication technologies. In recent times, hardly a day goes by without the announcement of an incredible new frontier in AI. However, most of the current hype around AI is due to a technique called deep learning (DL). AI, especially DL, has found use in many industries and facets of life from communication to transportation, from customer service to finance and from manufacturing to healthcare and beyond. Overall AI could have potentially disruptive applications, and implications for the current architectural order of the global economy and places like Africa should prepare to take advantage of this as well as necessary inputs. 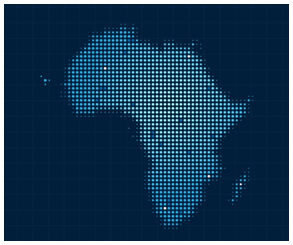 As we reported in a recent post on how AI could help transform pharma in Africa, AI applications are increasingly being used diagnosis, surgery, patient monitoring and of course drug development and delivery and many healthcare. At the fundamental level, this could be described as harnessing the power of big data in the life sciences which involves processing and displaying huge volumes and varieties of health or biological data at a rapid rate. Currently, this is an increasing trend in many healthcare sectors where there is a vast amount of data such as lab data, insurance data, patient records, research data, and even social media data. In a recent report, CB Insights identified over 100 reputable companies that are applying machine learning algorithms and predictive analytics in various facets of healthcare such as reduce drug discovery times, provide virtual assistance to patients, and diagnose ailments by processing medical images, among other things. Many major medical and pharmaceutical companies are already harnessing the power of artificial intelligence with great results. For example, Johnson and Johnson’s Sedasys system has received FDA approval to deliver anesthesia for standard procedures like colonoscopies automatically. 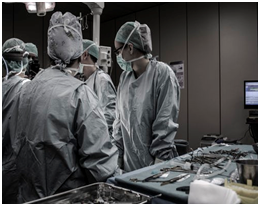 A doctor oversees multiple machines at once, making the cost much less than a dedicated human anesthesiologist. 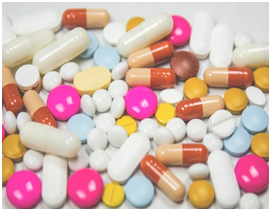 Insilico Medicine has taught its AI system to predict the therapeutic use of new drugs before they even enter the testing process. There are also numerous robots in various stages of testing and approval for diagnosing disease. Now we are having more of virtual follow-ups. This means the clinical staff, no longer have to devote so much time follow-up processes. This is because patients now have the option of following up via digital methods and tools such as digital apps and other AI procedures. 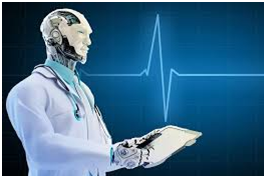 Also there are now smart robot apps that could answer frequently asked questions and track the patient’s health with some apps going further to give recommendations to patients based on their current diagnosis and past medical reports. No wonder an increasing number of patients are encouraged to go digital. Moreover, all the other healthcare tech tools (both old and new) which help make healthcare digital; diagnostics, telemedicine, EMR, networked EMR (intranet or internet), equipment connected over computers, drug reminders, drug selfies and so on, could now have AI or intelligent programs built into them. As a result, these tools suddenly become smarter, learn from data and help us work more intelligently. At the core, AI facilitates accessibility, relevance, and actionability of healthcare information. A little more in-depth look at a significant application of AI in healthcare, precisely the pharmaceutical industry, would be helpful. As we already know and it’s good to remind ourselves at this point that AI and most other tech advances are fundamentally just “tools,” tools to solve problems and make things better. So the question is: Are there problems in pharma that need to be addressed? Are there pharma processes that need to be improved, enhanced and made better? Well anybody close to pharma knows there are long-standing problems seeking solutions and processes deserving improvements right from actual drug discovery and developments to actual delivery. A typical application of AI is in drug discovery. In nature and within pharmaceutical companies are vast amounts of molecules and compounds that could be suitable solutions to combat specific diseases and improve health, but the challenge lies in identifying them as such; as potential therapeutic entities. Drug discovery and development is likely not only the most prominent challenge but also the most significant opportunity for improvement in healthcare. Finding a new drug could be very demanding and cost prohibitive. It takes much time with substantial financial and intellectual demands. At the basic level, these are usually due to the necessary processes needed to ensure we have drugs that are effective and safe for use. On average, the processes involved in making drugs available, from discovery to administration, could cost pharmaceutical companies up to $2.6 billion and could take about 12 to 14 years to complete. Due to this, the leading short to long-term applications of AI in pharma is more towards reducing the time and hence the cost of drug development. This would not only enhance the return on investment and reduce the costs for users but would be helpful in making useful products available faster, especially where it matters most. Usually, thousands of molecules are typically studied and passed through lots of processes and from which only a handful could get to clinical trials, with maybe two to none getting approved as drug out of about ten thousand molecules studied on average. The questions then are: Is there a way AI could quickly help pharmaceutical developers avoid spending too many resources on doomed to fail molecules? Could pharmaceutical developers focus more on just a handful of the most potent molecules that could end up being suitable and approved for their specific purposes? The result would be drastically cutting down on the resources spent, accelerating the drug discovery process and ensuring that better quality drugs are discovered. Well, it turns out AI could be helpful and AI, as we acknowledge, is currently finding applications in almost every aspect of the drug discovery process. A handful of AI focused companies including, Insilico Medicine, Atomwise, Numerate and others are doing much work and processing large clinical and medical data to help the pharma do better. 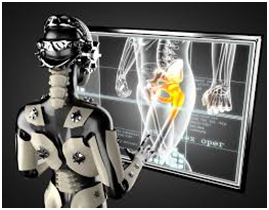 Many, including Frost & Sullivan, have recently recognized the effort at Insilico Medicine. Even with the current rate of progress (and the pace is accelerating), there would likely be a reduction in the cost of medical treatments by half across the board within the next couple of years. There has been this recurring theme among some people in Africa, in both high and low places. They are of the opinion that it would be near impossible to do serious research, develop drugs and make more original contributions to pharma at a global level from Africa. Many of these people usually cite the prohibitive and increasing costs of drug research and development as something many African organizations interested in pharma cannot afford. For them, African institutions are bound to rudimentary research efforts that are mostly bound for the shelves. Many acknowledge this as utterly unsustainable. Thankfully with the aid of advances in tech especially AI there is now absolutely no reason why scientists and developers in Africa cannot be more productive and innovative towards achieving better drug discovery outcomes. This would likely transform pharma and healthcare overall. Iraneus Ogu directs the Africa Artificial Intelligence and Blockchain for Healthcare Initiative at Insilico Medicine, Inc. In addition to tech developments, he works on Longevity and Aging Interventions with his research efforts focusing on neuroregeneration. He equally works with the development team at Longenesis.com and also has a background in Pharmaceutical Sciences at the University of Greenwich, where his research focused on controlled-release dosage forms.